I would rate them (especially the front desk) a NEGATIVE 50 if I could. This place should be shut down andthe receptionist, fired. I would rate them (especially the front desk) a NEGATIVE 50 if I could. This place should be shut down and the receptionist, fired. Didn't check my ears during my physical and I left thinking what a bummer because sometimes you need them cleaned out. 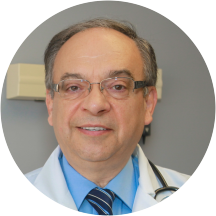 David Zarian is a diligent and engaging physician specializing in internal medicine. Originally from Iran, Dr. Zarian attended the Shahid Beheshti University of Medical Sciences, where he earned his medical degree. He completed both his internship and residency programs in internal medicine at the Kingsbrook Jewish Medical Center in New York. Presently, Dr. Zarian is based in Encino, CA. In addition to diagnosing and treating illness, Dr. Zarian offers a range of acute, chronic, and preventative medical care services. He is sensitive to the uniqueness of each patient’s complaint and adapts his consultations and treatment options appropriately to accommodate individual needs and concerns. Dr. Zarian is certified by the American Board of Internal Medicine. He is also fluent in English, Spanish, and Farsi which makes him accessible to patients from a variety of cultural backgrounds. Very professional and helpful. Quick service, despite the waiting room. I found Dr Zarian on Zocdoc two yrs ago. I have been going to him ever since. He is thorough, knowledgeable and always listens to what I have to say. That is what is most important to me, someone who listens.Sometimes I have to be the one who follows up on labs but I feel like if my health is important it is my responsibility. His receptionist is the best, always kind and friendly. Dr Zarian is always straight up and honest and isn't one who just treats anything. Dr Zarian is a great doctor. He listen to your concerns and always addresses them. He is on top of his game. He is not one to prescribe medication unless it is truly needed. The only thing that could be improvedis getting back lab results and radiology reports. You need to stay on top of these yourself. The doctor and staff are a breath of fresh air. This was my first visit and they went out of their way to make me feel comfortable and informed. Dr. Zarian listened to my concerns and discussed with me thoroughly mytreatment plan. I cannot stress enough how wonderful he and the staff are. For once I am looking forward to my follow up appointment. Friendly staff, not long of a wait. Good bedside manner from nurse and doctor. Answered my questions thoroughly. Very pleased with this office so far. I feel good. Doctor and his team are very nice. The dr was great... the team wasn’t the best or friendliest. Check in was okay. Dr. Zarian and my nurse were both awesome and friendly. Got everything done very quickly and were able to squeeze me in for an appointment with one day's notice. Thanks guys! Great office - receptionist was helpful for check-in and follow-up. Minimal wait time and I was a first-time patient. The PA was insightful and thorough. Dr. Zarian explained his diagnosis, treatment, and follow-up in a way that I completely understood. Thanks to everyone! Nothing wrong with Dr. Zarian and his office. It was not a spectacular patient experience but was average. I walked in and was not greeted. I had to ask for the paperwork and introduce myself. After that, the front desk lady was very nice. Dr. Zarian was nice. Nurse decided while im crying in the office that it was more important to have a nice long chat w her other nurse friend then input my information or take my forms after I finished them. I have a photo ofthem having a lovely conversation About life while im crying. Sadly there's no photo upload area. I felt completely disregarded as a patient and as a human being with medical needs. Highly recommend for people to avoid coming here. Honestly he is a well-known Dr and he does have a lot of acknowledgements in the medical field. But I didn't like the atmosphere during my appointment. I wouldn't recommend anyone to see him. Longest wait time I had. It was almost two hours. The clinic looks old and sick. I booked my appointment from ZocDoc and he seemed to be available almost every hour. But when I arrived to his office, the waiting time was over an hour. Even though I wrote my symptoms on the form, the nurse didn'teven take the time to read it. Made me go over everything once again. The stuff on the waiting room was pretty rude as well. Even though I went to see the doctor with a cold, he didn't even checked out my nose or ear. He just had a quick look to my throat. He only took 5 minutes of his time to come to a conclusion and he gave me 3 pills of low dose antibiotics which wasn't enough to cure me. It has been 5 days and I am still very sick. I don't have any antibiotics either. Just waiting to get better on my own. Most inefficient doctor I've ever had the displeasure of visiting. I've had to come back three times just to get a blood test completed and was told I would need to visit twice to refill a prescription that I've had notrouble getting elsewhere for the last 6 years. The clerical staff is rude and the wait time for my first appointment was easily over an hour. The only person who seems to have any idea what they're doing would be the woman in training who actually took my blood. Everyone else, including the doctor himself, has been completely unhelpful and a waste of my time and money. Great visit. Went in for a list of issues for a routine physical exam. Dr. Zarian and his staff were very thorough. He was very friendly and knowledgable of all the issues. Took his time to properly document and evaluate. Usedlatest tech (tablet charts, mobile device for recordings, etc.) Did seem a little rushed, but I understood that he had a lot of patients to see. Overall, extremely pleased with Dr. Zarian. Will be back.